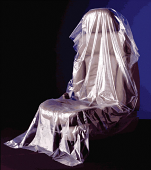 Using disposable seat and steering wheel covers protect your customer's vehicle seat covers and steering wheel from dirt and grease stains that may come from your repair shop while your mechanic works to repair your customer's car. 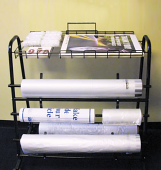 We sell three different high quality floor mat and seat cover service lane dispensers as either a cart or a stand. Every efficient auto or truck service department needs a way for their technicians and mechanics to easily find and dispense service lane protection products necessary to keep your CSI rating high and service department running smoothly.